These are great mounts. I like that I don't have to adjust gear mesh every time I want to remove the engine. using a ball end driver or short hex wrench does make it easier to remove the screws. You do have to file down the sides that go against the engine if you are using a novarossi engine but that isn't a big deal to me. Works just fine with the losi box. Had to do zero chassis cutting. So if your having to do that then you might want to check your adjustments. Have this is installed in all of my 8ights. 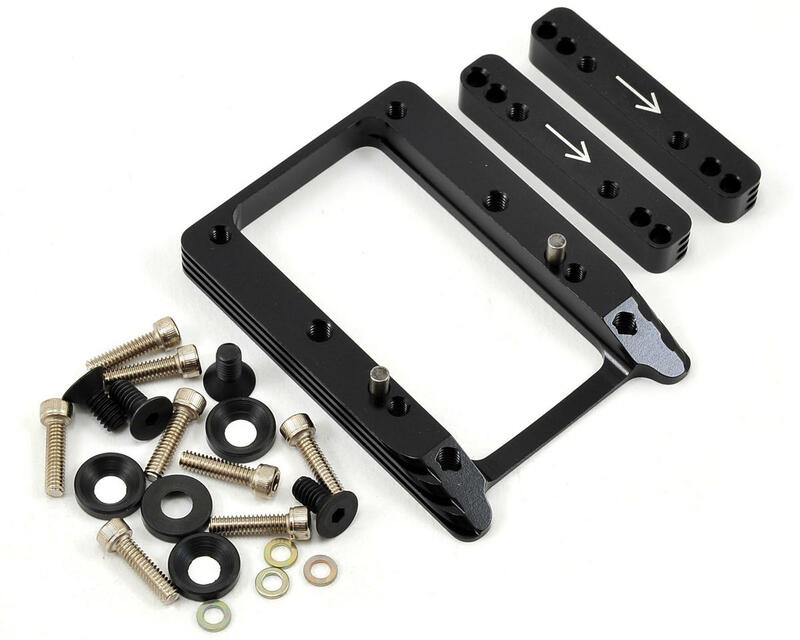 If you are having to grind your chassis then you need to adjust the pegs and move your vehicle. It does not raise the height. It must be dremeled for use with NovaRossi motors. It's OK. With a good ball-end driver you can switch engines just as easily, with fewer screws to come loose and less weight. This is one of my favorite losi hop ups. The quality is really good. If you don't have it, get it. I don't have problem with this after I adjusted the starter box a bit. I use this one on my losi 2.0 and my Losi Starter and its works perfectly maybe u do some thing wrong. 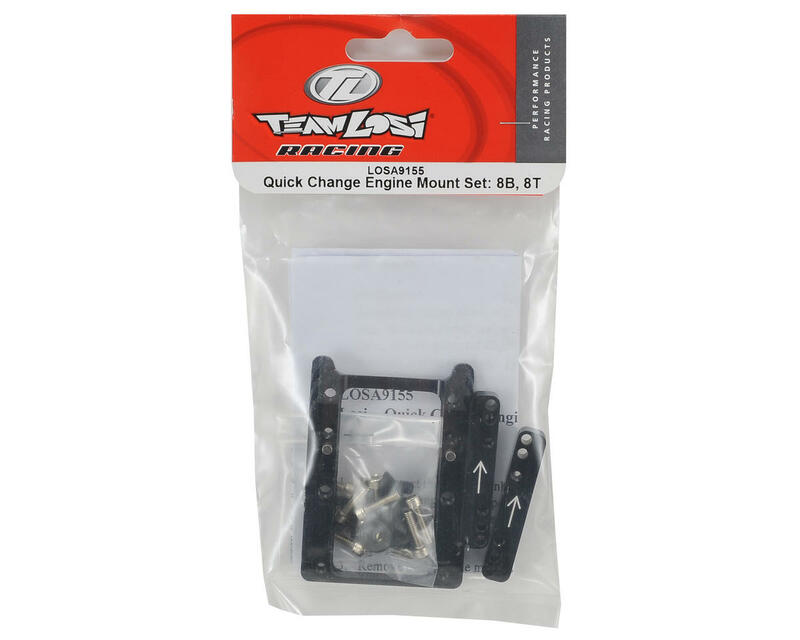 this its a great upgrade for a losi went u have more than one engine and its updated from the firth production that losi made of this engine mount. do not get these,they do not let you starter your truck with a starter box without cutting the chasis. This mount is nicely made but beware that it will raise the height of your engine enough that starting it might become a pain. I installed this mount with a grp .21 and I had to grind away on my chassis flywheel opening because it had raised the engine some and my losi box couldn't start it.